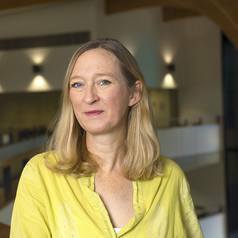 Lucy Newton is Associate Professor in Business History at Henley Business School. Lucy has taught modules on the evolution of multinational enterprise and the development of international business. She currently teaches MBA Reputation and Responsibility, Undergraduate Business Ethics and Evolution of Entrepreneurship and Masters level Corporate Social Responsibility. During her time at Henley, Lucy has been responsible for running the postgraduate pre-experience programmes, the undergraduate programmes and the Full Time MBA. She led the redesign of the undergraduate programmes offered by Henley and launched a new 4-year degree in Business and Management in 2010, which has successfully increased recruitment of high calibre undergraduate students. She also redesigned, launched and was Academic Director of the New Full-Time MBA at Henley Business School. Lucy's current research interests include the regulation of 19th century British joint-stock banks and the creation of an identity around these new entrants to the market. She is also researching the identity and function of the first directors of these joint stock banks and is interested in the governance of 19th century corporations, as well as shareholder rights during this period. Lucy is also considering the current use of history in creating identity for British retail banks, in particular through art and portraiture and the use of marketing by British retail banks in the 20th century. She continues to conduct research into the manufacturing of 19th century consumer durables. She is currently serving as the Secretary to the Association of Business Historians.